Grace Poe’s emergence as a senatorial frontrunner is a surprise, since Loren Legarda has long been perceived as the leader according to surveys. Poe denied Legarda the chance of being the first Filipina in Philippine political history to top the senatorial race thrice. This can have implications for the 2016 race, too. Had Legarda emerged on top again, she’s likely to be considered as a potential presidential contender even if she has ruled out the possibility. Legarda have a long history together since the former broadcaster was FPJ’s 2004 running-mate. Poe’s strong showing shows the enduring strength of her father’s political brand. This momentum can be translated to a possible run for vice president or vice president. Poe is the perfect candidate. Everyone, from Iglesia ni Cristo to the leftist Makabayan coalition to LAKAS-KAMPI, endorsed her candidacy. Despite officially running under the administration banner, she has strong ties to the opposition United Nationalist Alliance. As said in other reports, she is essentially a consensus candidate. 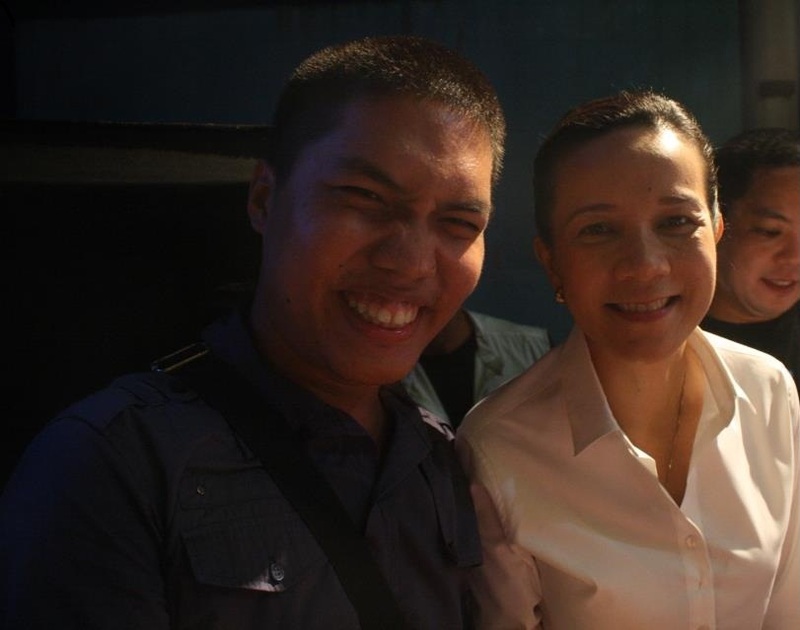 Her two campaign ads can be summed up in one sentence – I am the daughter of Fernando Poe Jr. …… and Susan Roces. Her ads may be ridiculous, but as one observer pointed out, she is merely sticking to her main campaign message. There’s no doubt about Poe’s intelligence (a key issue raised against FPJ in 2004) and good nature. She’s extremely likable. And she managed to maintain that by largely avoiding controversial issues. Asked about her work as chair of the Movie and Television Review and Classification Board in a debate, she put in in the context of protecting Filipinos from inappropriate content like, saying the media plays a big role in shopping the minds of people. That’s an intelligent answer that is not likely to offend anyone. Now, what is her position about the reproductive health bill, for instance? I see her as a good running-mate to either Vice President Jejomar Binay (although Estrada probably prefers Jinggoy to be on the ticket) or Interior Secretary Mar Roxas (the goodwill generated by Poe’s alliance with the Liberal party may seal the deal). Poe can reuse her main theme for her 2013 senate bid – to fulfill her father’s quest to lead the nation. Won’t that be an excellent campaign narrative (th Aquinos tried and tested it before)? Don’t be surprised to hear chants of Grace Poe 2016 soon. The field for the 2016 presidential and vice presidential elections are not likely to be settled until mid-2015. Many things can happen between now and then, but in case Grace Poe indeed runs, you read it first here. This entry was posted on Tuesday, May 14th, 2013 at 10:36 pm	and tagged with 2013 philippine election commentary, 2016 philippine presidential election, Grace Poe, grace poe 2016, Grace Poe for president, jejomar binay 2016, loren legarda, loren legarda 2016 and posted in commentary, philippines, politics. You can follow any responses to this entry through the RSS 2.0 feed. I remember that few months ago, Grace Poe was the center of ridicule–thanks to her awkward “Magalang” advertisement. But she now have the last laugh after a surprising climb to number 1 spot. Although we can’t deny that her family name brought tremendous benefits to her candidacy, Grace Poe definitely looks competent enough (as opposed to other leading candidates who only relied on the power of their surnames). She has an experience and credentials to show and for me, it’s all that matters. Perhaps we can give the woman a chance to prove herself. As for those who failed to win, Poe’s campaign strategy may give them a lesson or two. Hi, Luis. Thanks for reading. Her ad is really funny. It’s been mocked over the social media the past months. But, if her goal is to make people recall her name, she succeeded. And in the way we conduct elections here, that’s what matters. On another note, I visited your site and I enjoyed the list about urban legends. Hop this won’t be your last visit here. Mar Roxas and Grace Poe for 2016. A good choice for our nation.